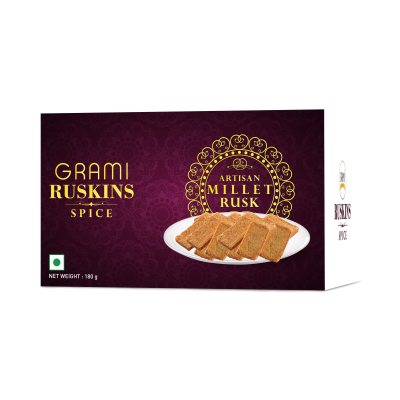 Made from farm fresh and organic ragi millets and other ingredients like whole wheat flour, edible vegetable oil, Sugar, Spices and condiments, salt and yeast. Ragi millet rusks are rich in Calcium, Iron, protein and other minerals. They also have some essential amino acids for our body. Ragi millet foods can be considered as the best replacement for rice and wheat for all age group people. No added preservatives, artificial colours or flavours. These rusks contains the health benefits of having spices like chilly, coriander, jeera, sesame,etc. in addition to the millets. Spice millet rusks especially helps in for smooth digestion and improves the gut health.They are also rich in essential oil, phytochemicals and anti-oxidant properties. 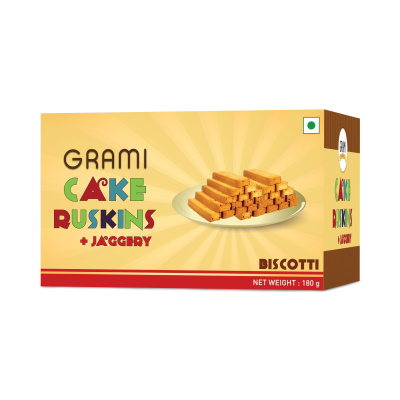 Made from Organic whole wheat flour, Jaggery, Edible vegetable oil, nuts, spices and condiments, essence and vinegar. These rusks are most yummy in terms of taste and are made with healthy ingredients. This pack comprises the nutritional benefits of whole wheat flour with other ingredients. Made from Organic Whole wheat flour, Ragi millet flour, Jaggery, milk powder, banana, salt and yeast. 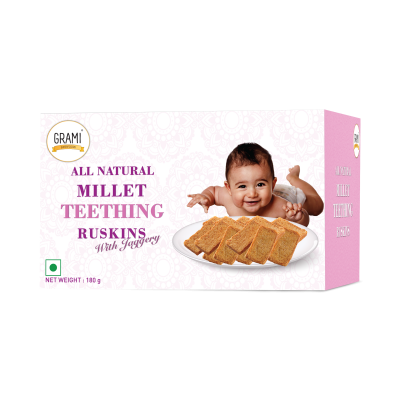 These rusks are good for children below 4 years of age as they could have a healthy bite for their growing teeth. These rusks contains the benefits of the ingredients like milk solids, banana etc. which could improve the gut health of the babies.